Tara Lynn Boutique stays true to their original values by offering clothing in petite, tall, and extended plus sizes that range up to a 5x. I was extremely excited to work with a brand with such diverse sizing. 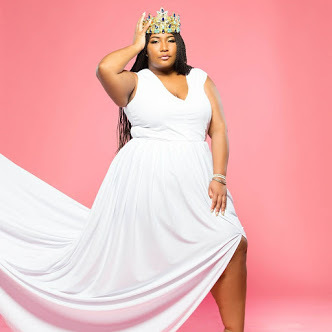 I was also excited to work with a brand that offered larger plus sizes. 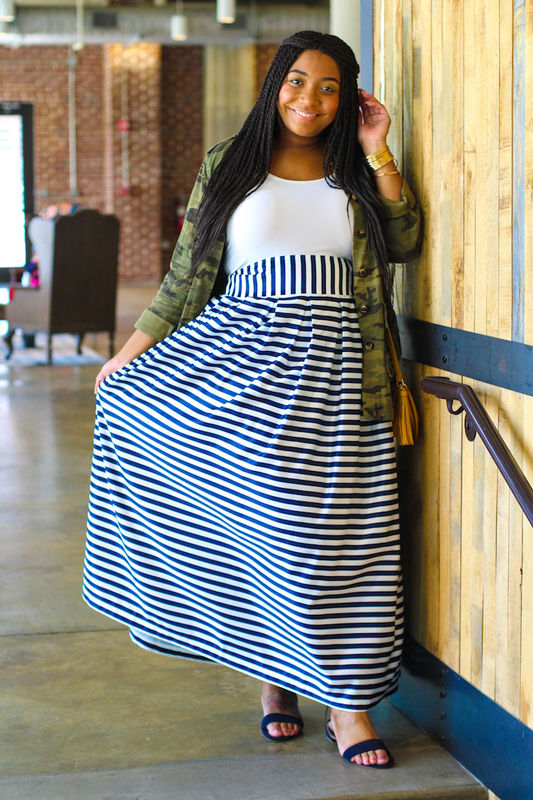 As a true print lover I opted for a striped skirt and maxi dress. Both items fit perfectly and I could not wait to style them. Being pregnant my number one concern is comfort. I love being able to move freely in clothing. 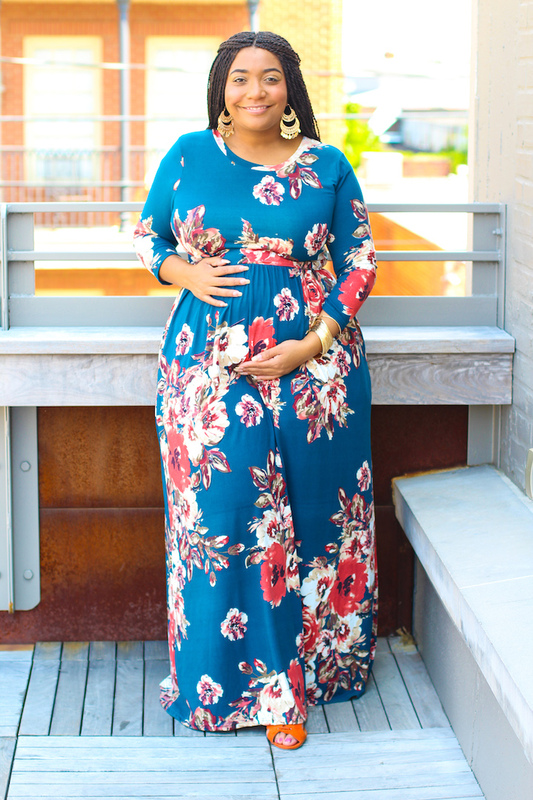 So choosing a maxi dress was a no brainer. 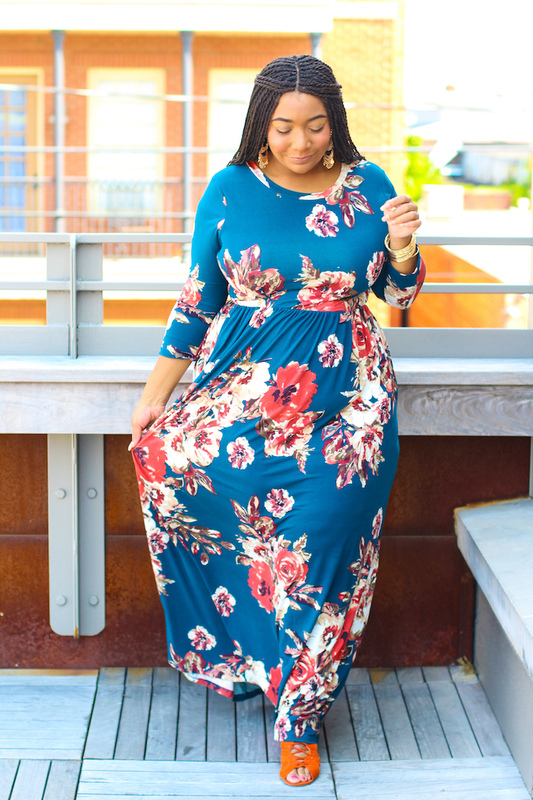 I love that this maxi dress is made from a soft material but is not see-through. I also feel in love with the fact that it has pockets! Pockets on dresses and skirts are dreamy! Styling this dress was a breeze. I opted for my burnt orange lace up sandals (similar) and gold tiered earrings to complete the look. Also, I am wearing a 2x in this dress just so I can wear it during my pregnancy. 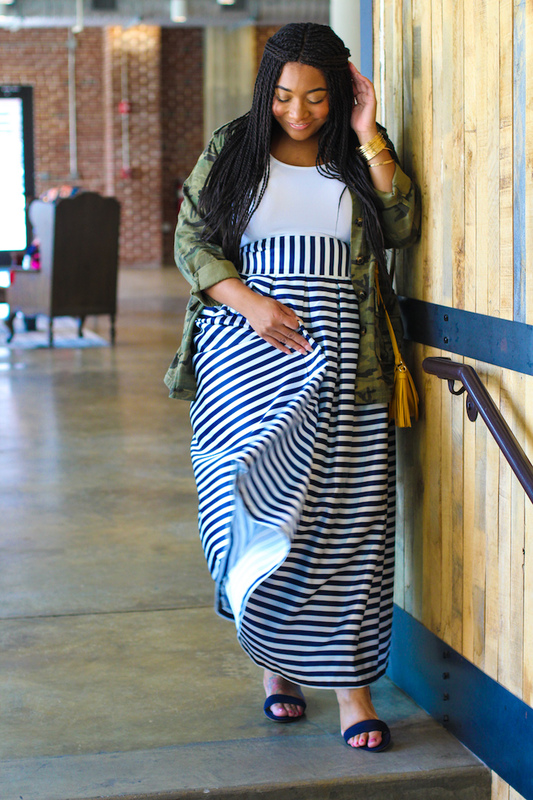 Next up is this amazing maxi skirt. 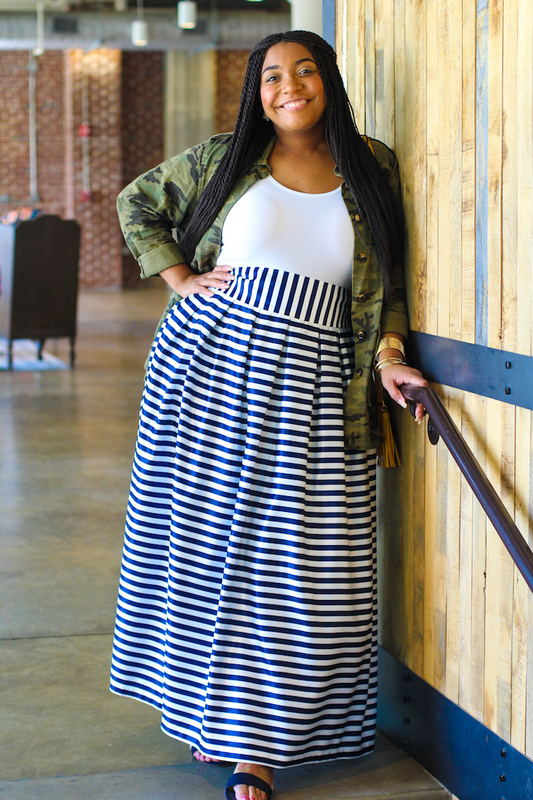 This maxi skirt can easily be dressed up or down. I went with a casual look. I love that this skirt features a side zipper. I wanted to style this maxi skirt as if I was going to work because I love looking nice when going to work. 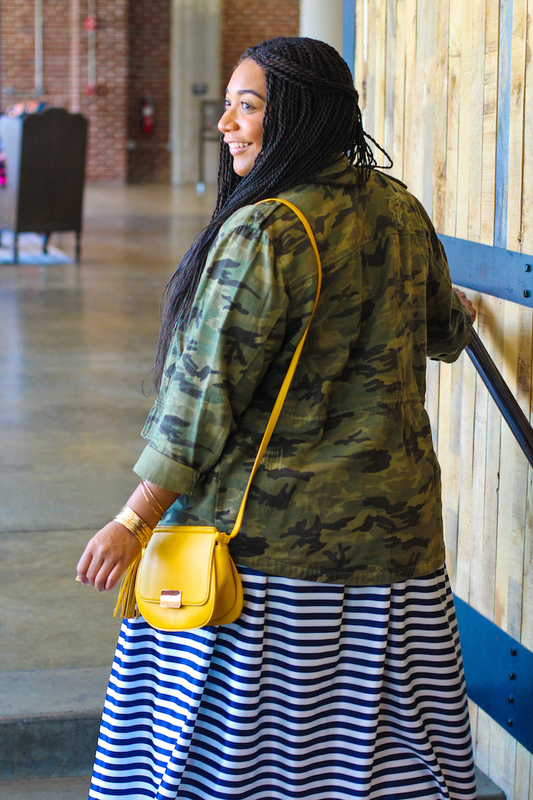 I chose to wear my favorite camo jacket (similar), navy blue flat sandals, navy blue tassel earrings, and my yellow handbag (similar) for a pop of color. Also, I am wearing a 2x in this skirt just to wear it a little more during my pregnancy. Here is a little background about the owner, Tara Lynn, "It all started with a little too much online shopping and a love for fashion. Growing up in the great state of Louisiana, I was raised with Southern values which are prominent in my everyday life. With the ever growing expenses of raising children, I wanted to do something to help out. Laying in bed one night, I came up with what I thought was the perfect solution. With lots of prayers, I suggested the idea to my husband. To my surprise he agreed to indulge my "crazy idea" of an online boutique. I take pride in making custom clothing for women of all shapes and sizes. I now work with top designers across the country to bring you one of a kind pieces, without compromising comfort. Thank you for supporting my once crazy dream."